Fast tabs are used to group fields and allow you to easily collapse and expend groups of fields. They help to organize all the fields on entity details in a user friendly way. In example, on the product information details page you can see fields grouped on specific areas, such as procurement, sales, production or inventory. As an example. some fast tabs on the released product details form, grouping fields in specific area such as Purchase, Promote or Deliver. Never would you require all fields on a detail page for your processes or your specific set of roles. What’s not hidden automatically by working with a set of security roles, you might want to get out of sight too. You are quickly able to collapse, or even hide, entire fast tabs that are not useful for your role. In that way, you are able to get a quick overview of what matter to you, ultimately improving your user experience. If you want to quickly collapse or expand a specific fast tab, click the downward pointing arrow (marked in the screenshot). If you want to quickly collapse or expand all fast tabs, right click on any fast tab and select either the Collapse all or the Expand all option. If you want to hide any fast tab, right click the fast tab, select the Personalize option and mark the Hide checkbox. Did you know you can determine what fields are displayed in the fast tab summary? Step 1: Navigate to a field displayed on your record details view and right click. Click ‘Personalize’. Step 2: Check the ‘Include in FastTab summary’ checkbox. Step 3: Give the screen a ‘hard refresh’ by using F5 or the browsers’ refresh button in order to have the changes reflected on your fast tab. 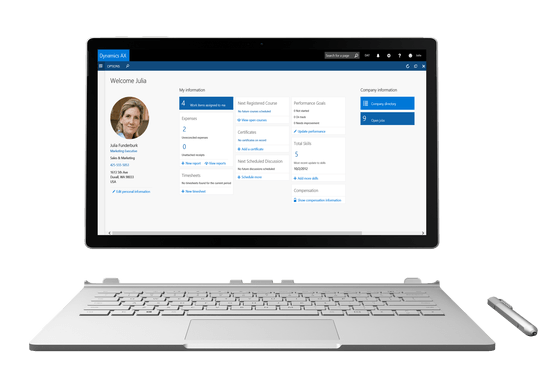 A simple data refresh from within Dynamics 365 will not work.